In the silver package you get access to full content learning video’s. This package is the first step into ballet. 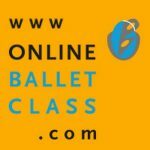 You’ll get full access to video’s with techniques, barre, center and allegro. The step-by-step learning program can be done at your own time and there’s no limitation. Complementary you also can contact Maestro Andrew for feedback and we’ll update you with new content that will be exclusive available for you. You also can contact other students to exchange progress or for other questions.